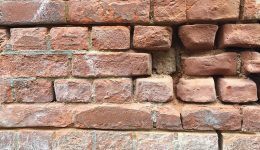 Over time bricks can become damaged by the elements, erosion and impact. 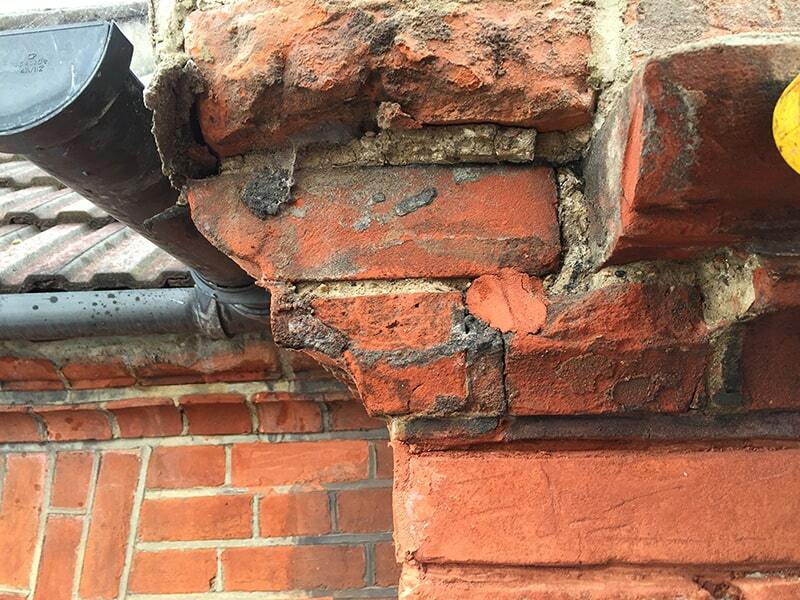 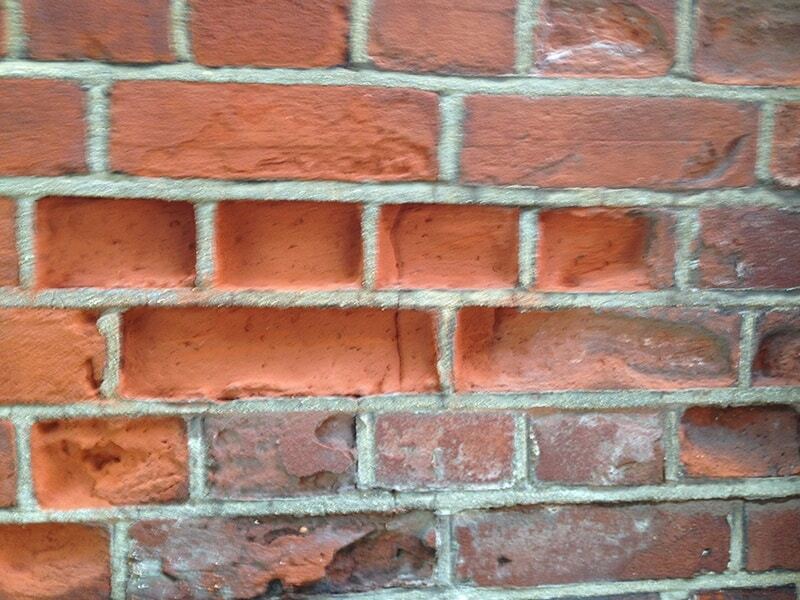 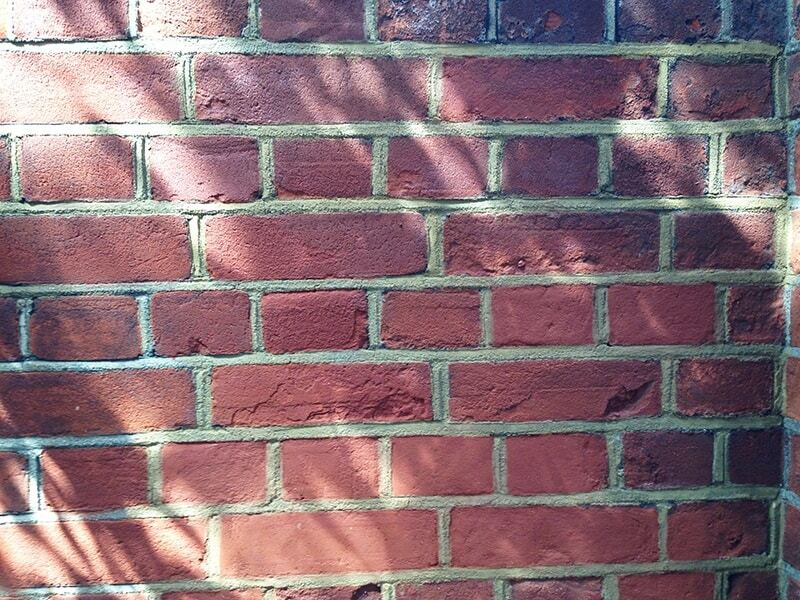 When repairing bricks it is vital that the repair material used has the same properties as the original. 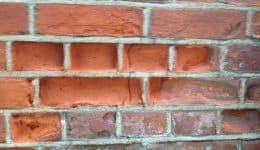 Bricks that are repaired with unsuitable material such as sand and cement may look okay but over time can lead to problems with cracking and damp. 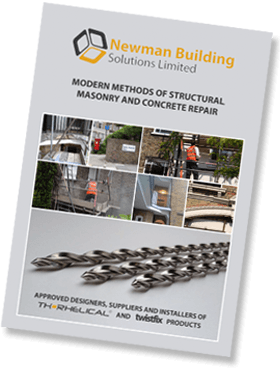 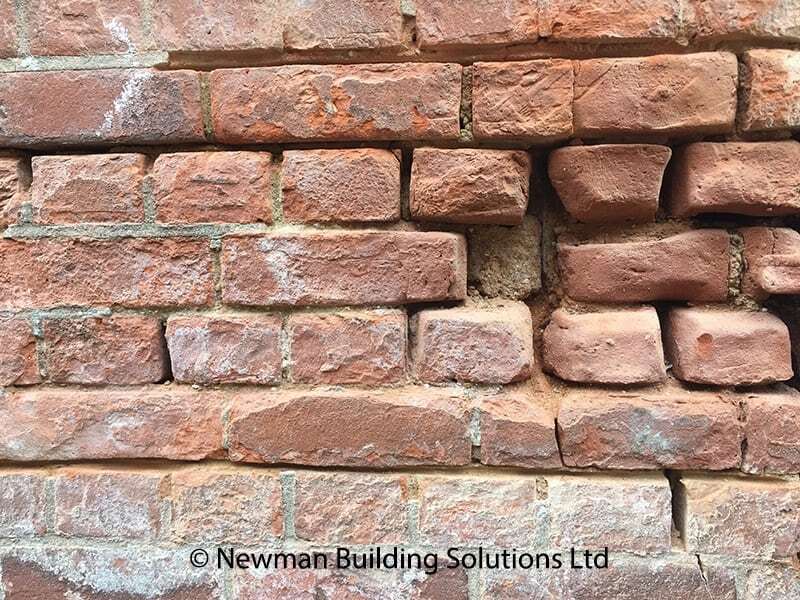 Newman Building Solutions’ craftsmen carry out brick restoration using specialist, mineral, brick repair mortars that replicate the properties and colour of the original material. 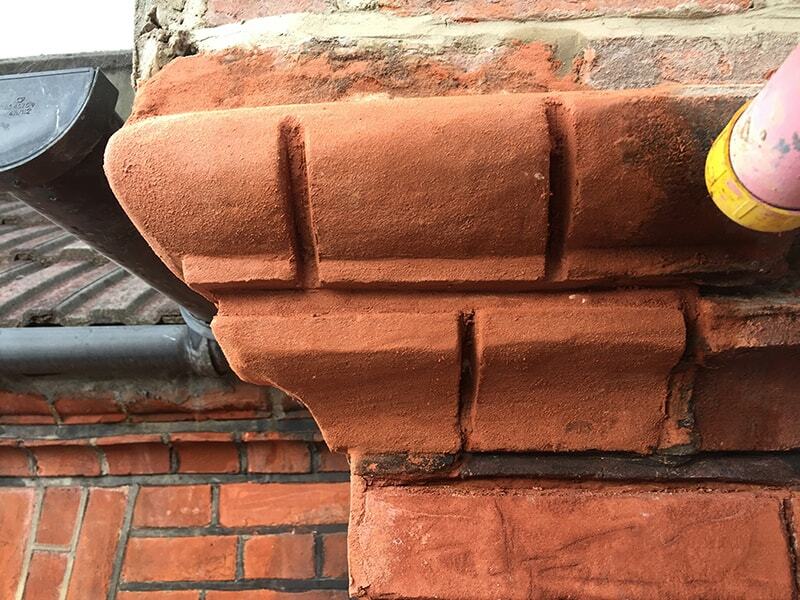 Textures and shapes are replicated using a range different tools and techniques. 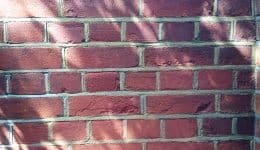 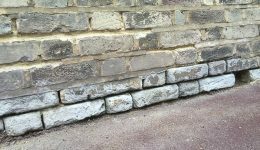 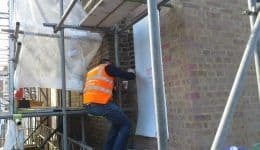 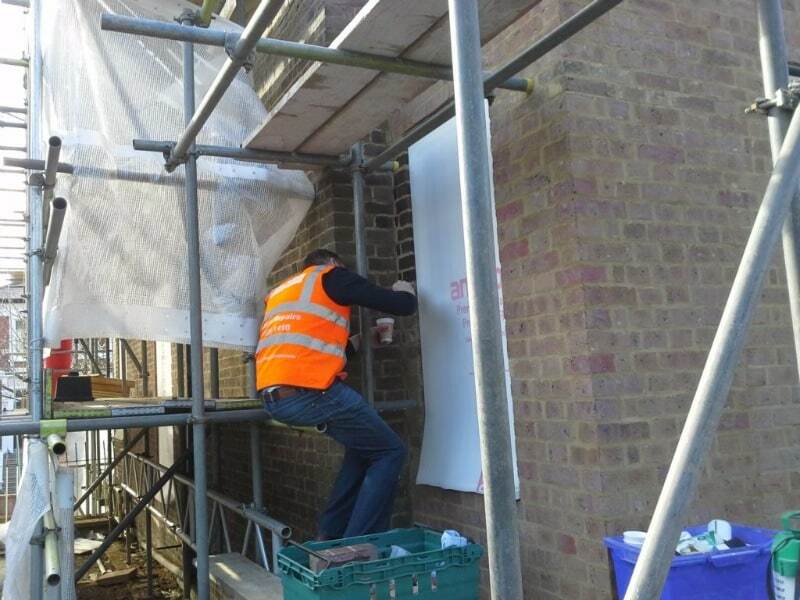 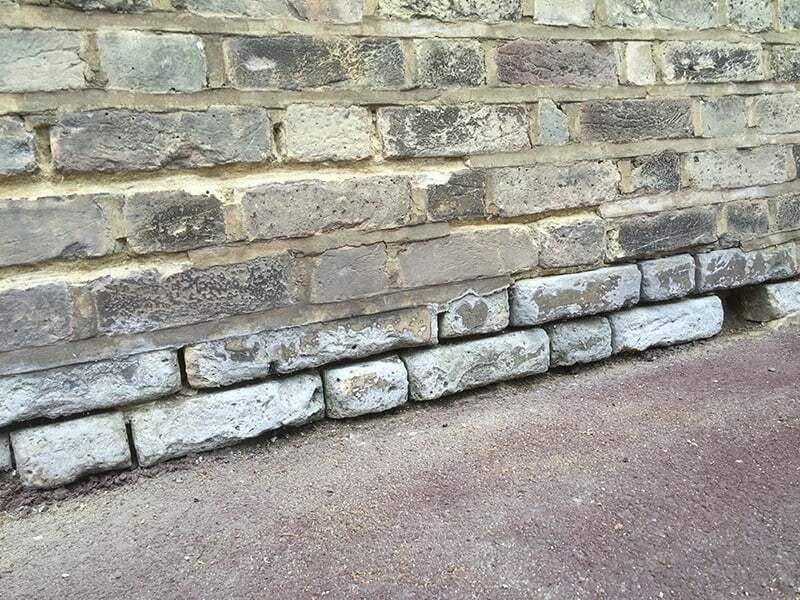 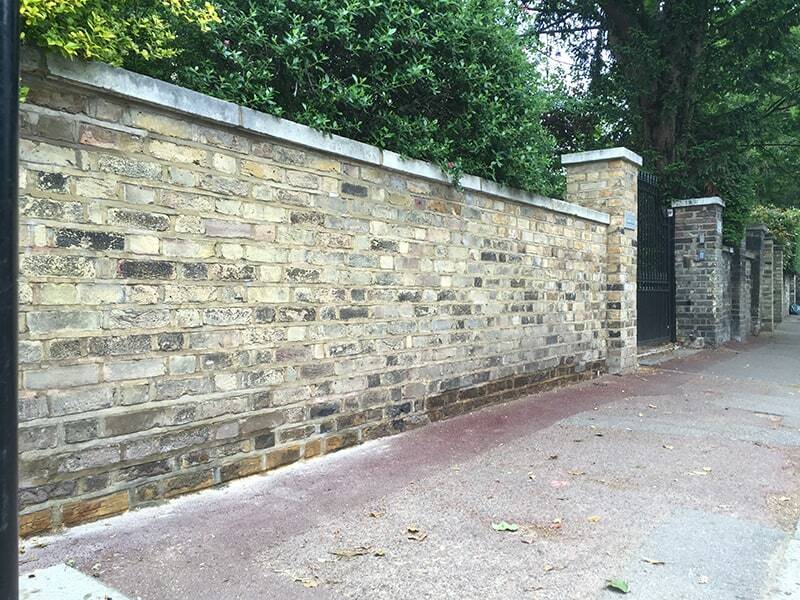 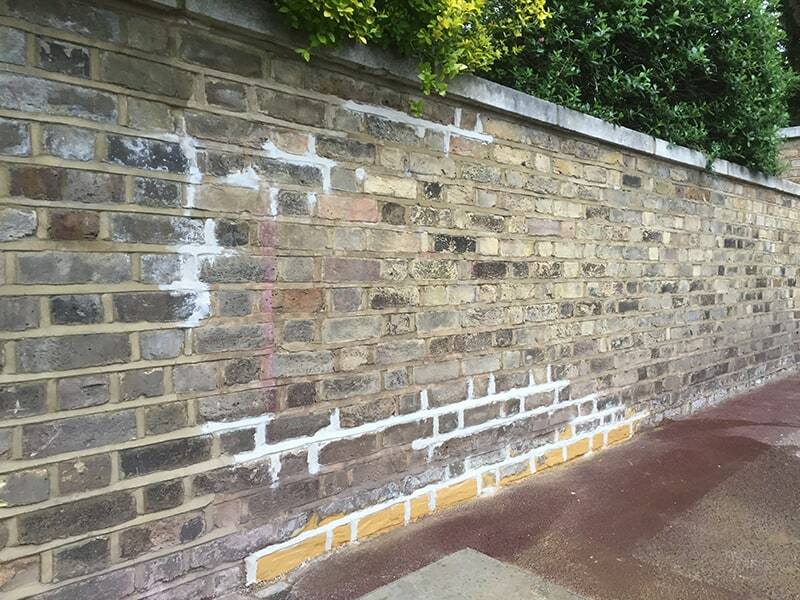 Finding the correct bricks when extending or carrying out remedial works is an increasingly difficult task and reclaimed bricks are rarely available in sufficient quantities. 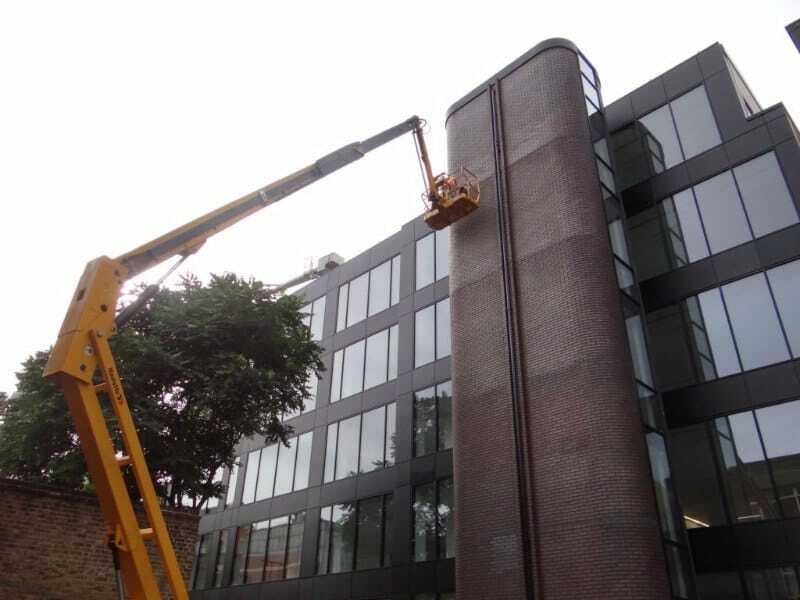 Therefore brick tinting, a process of dying bricks to match, is often the best solution. 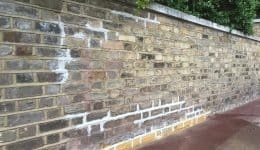 Combining natural colour pigments with a vapour permeable or ‘breathable’ fixing agent provides a permanent, colourfast stain that is not lost to weathering or UV exposure. 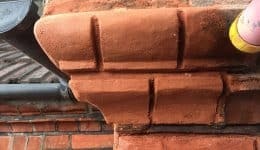 Once applied there is no ongoing maintenance. 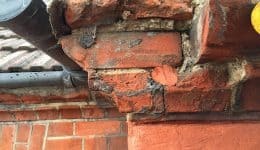 A water-repellent, breathable fixing agent can also be used where required. 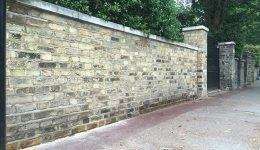 In order to obtain a complete, uniform finish, existing brickwork can be cleaned prior to tinting or the tinting can emulate weathering or sooting. 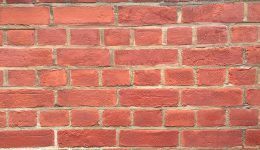 Because brick tinting stains the bricks it doesn’t change the texture and provides a much more sympathetic solution than painting or rendering methods that are often used to overcome mismatched bricks. 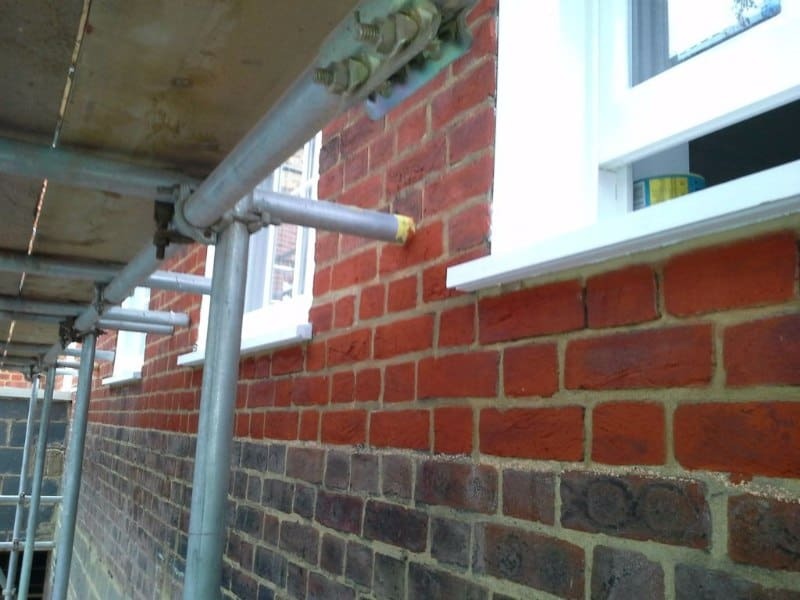 A specialist will match the colour required without using the fixing agent. 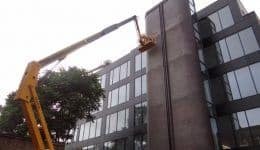 The samples can then be power-washed off. 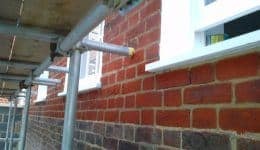 Once a colour match has been made, the tint is created using the fixing agent which bonds the tint permanently to the brick. 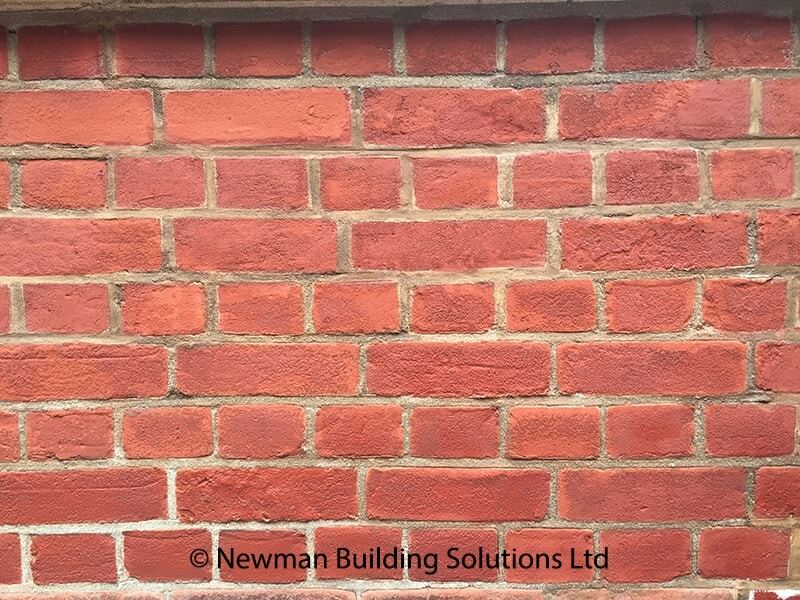 Tinting, which is also referred to as brick dying and brick staining, can be used on any porous building material and Newman Building Solutions are also experienced in Stone Tinting, Roof Tile Tinting and and Mortar Tinting.